MANCHESTER, England (AP) — Former Manchester United manager Sir Alex Ferguson was in intensive care after emergency surgery for a brain hemorrhage on Saturday amid an outpouring of affection and get-well messages from across football. 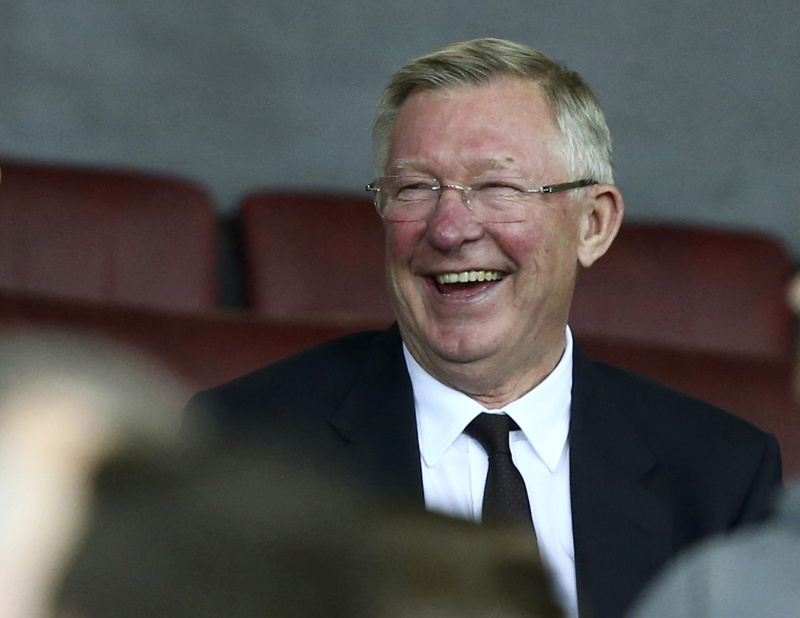 Since retiring from United after almost 27 years in charge in 2013, the 76-year-old Ferguson has continued to attend matches at Old Trafford, participate in coaching initiatives, and has been a regular at horse racing as a prominent owner. "Sir Alex Ferguson has undergone emergency surgery today for a brain hemorrhage," United said in a statement. "The procedure has gone very well but he needs a period of intensive care to optimize his recovery. His family request privacy in this matter." The most successful manager in British football history, Ferguson has appeared in good health since ending his intense direct involvement in coaching. The Scot had surgery to fit a pacemaker in 2004 after a heart irregularity was discovered and had a hip operation five years ago shortly after retiring from United. Since leaving the dugout, Ferguson has traveled the world passing on his vast football knowledge to a new generation of coaches and fans through books and talks, including at Harvard University, on how he won 49 honors in his career including 38 titles at United. Starting work as a teenager in a Glasgow shipyard instilled a socialist ethos that the former Glasgow Rangers player carried throughout a career that included a spell coaching Scotland at the 1986 World Cup and eventually saw him knighted by Queen Elizabeth II. He also helped to made households names of two of the game's biggest stars: David Beckham and Cristiano Ronaldo. "My thoughts and prayers are with you, my dear friend," Ronaldo wrote on social media accounts. "Be strong, Boss!" Alongside a picture of him signing a contract as a youngster, former United midfielder David Beckham wrote on Instagram : "Keep fighting Boss. Sending prayers and love to (wife) Cathy and the whole family." Beckham broke into the team in the 1990s as Ferguson turned United into the country's most successful club. Hired from Aberdeen in 1986, Ferguson held onto his United job despite taking until 1993 to end the club's title drought. Ferguson retired a champion in 2013, lifting the Premier League trophy for a 13th time to take the club's haul of English championship crowns to a record 20. Ferguson's only significant career regret was he managed to win the Champions League only twice, but the first triumph was part of the 1999 treble that also included the Premier League and FA Cup. The scale of Ferguson's achievements during his dynastic reign is underscored by United's failure under three managers to win the Premier League in the five years since his retirement. Ferguson stepped away from management just as neighbor Manchester City, which posed little threat until a 2008 takeover by oil-rich Abu Dhabi, became the English team with the biggest spending power. "Hang in there Sir Alex," said City captain Vincent Kompany, who has won the Premier League three times since 2012. "Thoughts are with the family and close ones." It is just a week since Ferguson was on the Old Trafford pitch paying tribute to long-time managerial adversary Arsene Wenger. The Frenchman, whose control of Arsenal was reminiscent of Ferguson's at United, is preparing to leave the London club after 22 years as manager. The first indications of a health emergency came after Ferguson's son, Darren, the manager at Doncaster, missed the third-tier club's final match of the season earlier Saturday. The detail on Ferguson's condition was limited to the statement from United. Headway, the brain injury association, said a hemorrhage can be the result of a ruptured aneurysm or a blow to the head, including a minor injury. "The long-term implications are very difficult to predict," Headway's Luke Griggs said. "Every brain injury is unique, as is every individual's recovery."